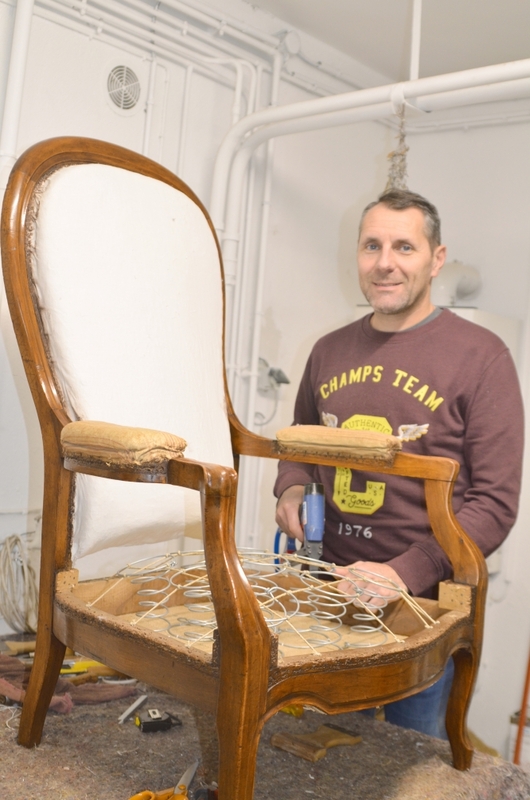 He runs his own business in Brive-la-Gaillarde, in the Corrèze, and is one of five upholsterers in a town of 45,000 people – proving there is work to be had. He restores and creates chairs, armchairs and sofas. He likes working with antiques but also with contemporary furniture, and his shop is full of colour, from the bright and cheerful materials he favours. “I became an upholsterer because it was my father’s job,” he said. “When I was young, I loved watching him work and knew I wanted to do that when I grew up.